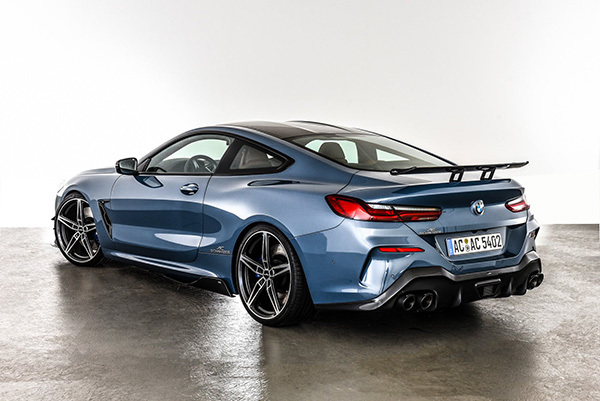 The Motor Show in Essen is about to begin and that means that we will be introduced to new tuning projects, like this AC Schnitzer M850i. The figure eight is a very positive number: it stands for strength, endurance, creativity and balance. Attributes with which the AC Schnitzer team can identify very well. Especially when it comes to refining the new BMW 8 series Coupé (G15). 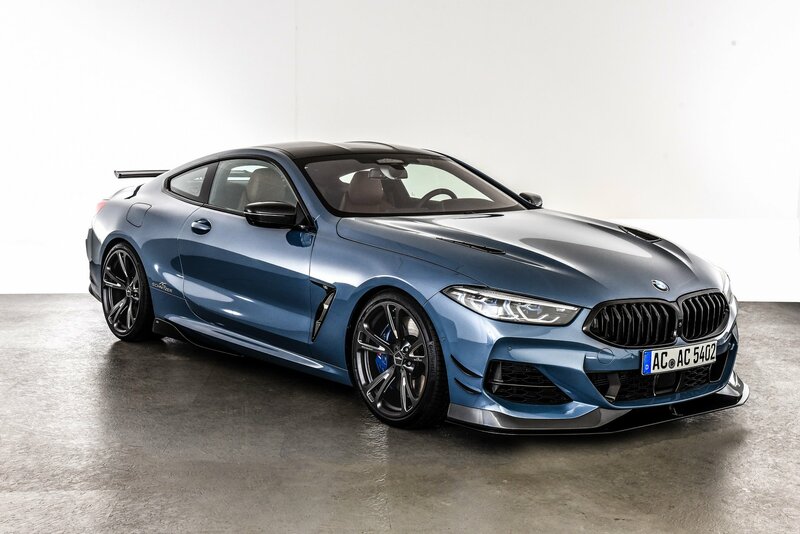 Let's start with the performance upgrades: we are planning a performance upgrade for the 850i xDrive that will deliver 441 kW/600 HP instead of the standard 390 kW/530 HP. At the same time we increase the torque by 100 Nm to approx. 850 Nm. Also for the 840d xDrive a performance upgrade is planned, which will increase the standard output from 235 kW/320 HP/680 Nm to 279 kW/380 HP/780 Nm. The aerodynamic components, developed for maximum downforce and aerodynamic balance, will be largely manufactured in super-light carbon in later production. In the current design study, some of these components are still made of fiber glass. 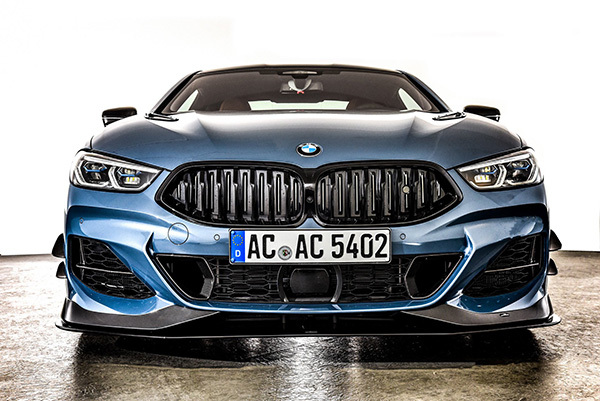 In future, the front of the BMW 8 series can be fitted with carbon front spoiler elements and a matching front splitter and carbon front side wings as well as carbon covers for the air breathers. Bonnet Vents - also made of carbon - ensure improved ventilation of the engine compartment. At the rear the carbon "Racing" rear wing and the carbon rear diffuser with and without integrated brake light will provide improved downforce. The carbon side skirts create the connection between the front and rear of the car, making the 8 series look even lower and more crouched. 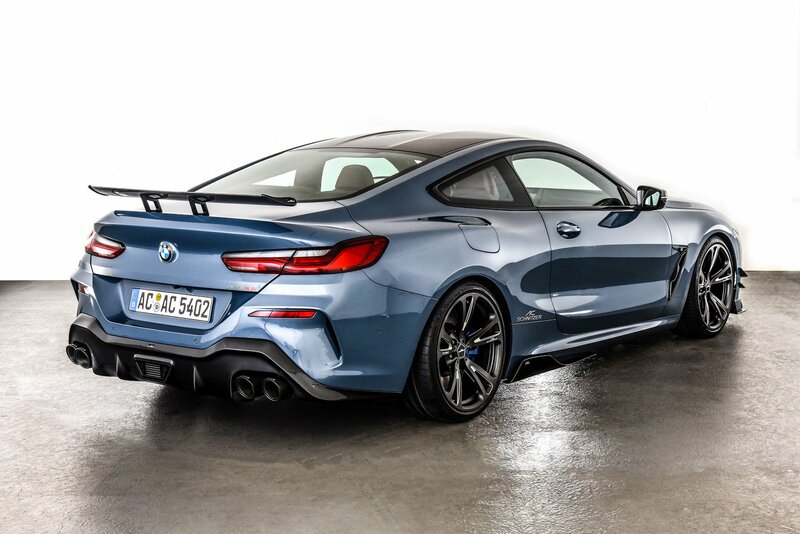 Some aluminium interior accessories will complete the AC Schnitzer range for the 8 series. These include the aluminium shifting paddles, a pedal set with matching foot rest and the key holder. 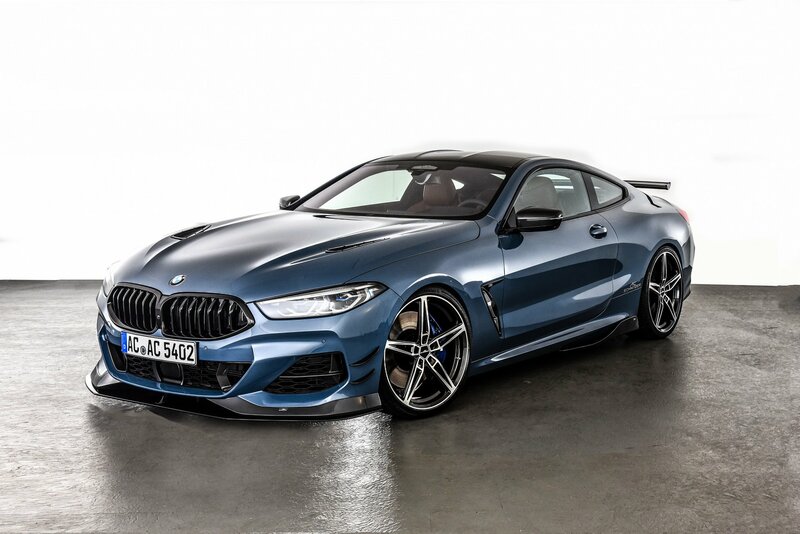 Power, endurance, creativity and balance: the 8 series by AC Schnitzer is well on its way to becoming the perfect 8 Series.